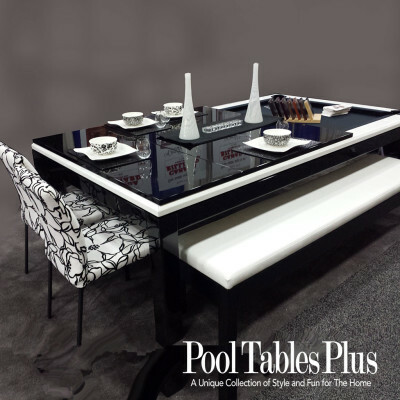 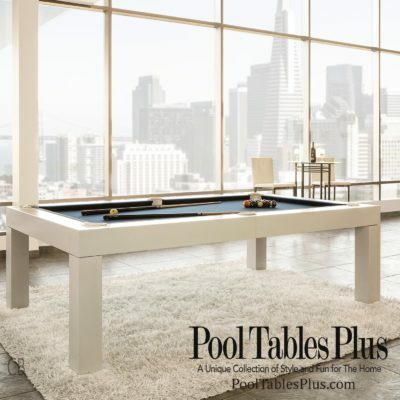 The Metro Dine & Play Pool Table is priced in a 7′ or 8′ size with a 4 piece integrated dining top. 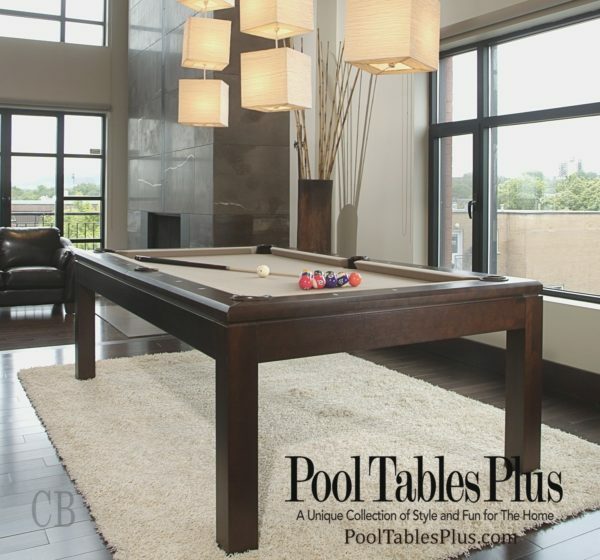 It is made from solid birch and finished in over 15 standard colors. 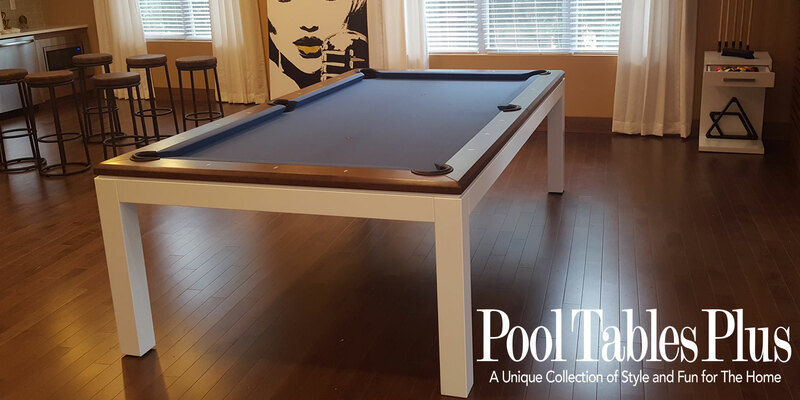 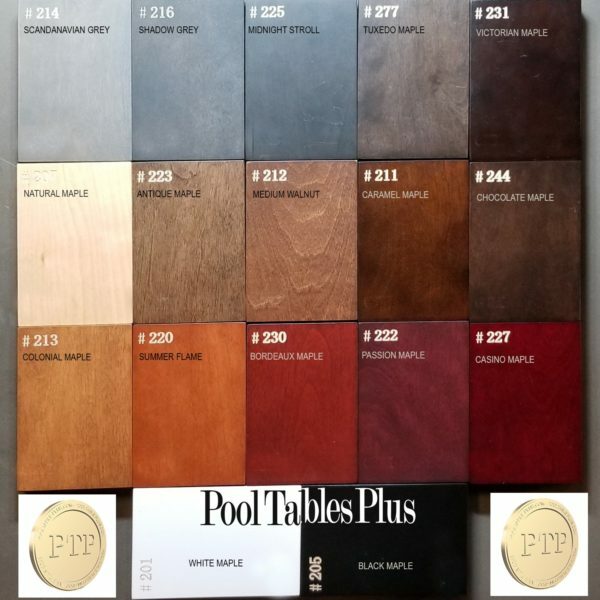 The Metro pool table is made exclusively for Pool Tables Plus and on display in both of our showrooms. Available in 6′, 7′, 8′ or 9′ size. 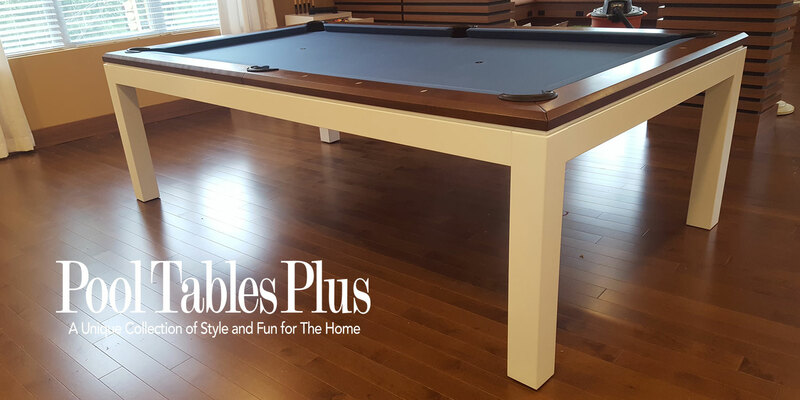 The bottom side of the wood dining top is custom routed to fit precisely over the corner and side pockets. 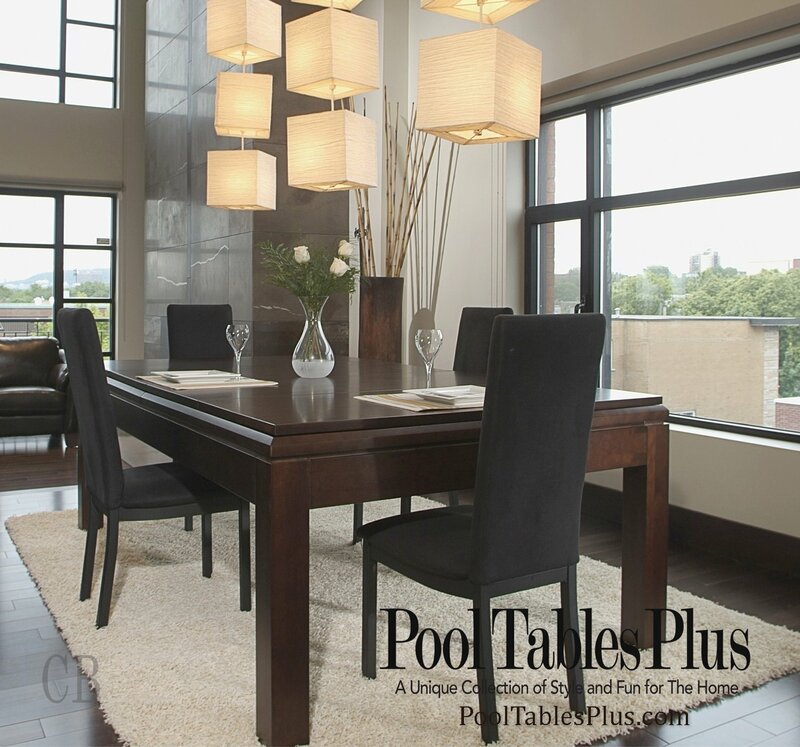 This allows the dining top to sit flush on top of the rails.